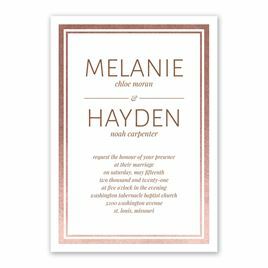 A bold foil frame presents your names and wedding details with incredible style! A simple white background allows your wedding wording to play the starring role. 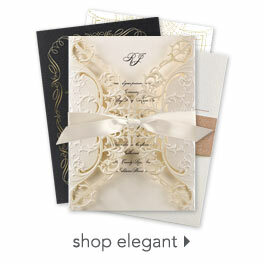 Personalization Options: Border is printed in your choice of four foil colors. Your wording is printed in your choice of colors and fonts.